How Will Trump’s Presidency Affect Israel? Will he be a blessing or a curse to Israel? This led to a firestorm of criticism. He was not approaching the issue from someone who knows the facts on the ground, the bias against Israel or the double standards that she deals with every day. Rather, he approached it as a businessman—a negotiator—making a deal. One thing Trump cannot yet understand is negotiations in Middle Eastern culture. Even President Bush and President Obama fell prey regarding this issue, being naive in comparison to the skilled manipulators in the Middle Eastern Arab countries, where lying is not a sin, but an honorable art form. But then Trump gave his AIPAC speech and hit it out of the park. Pro-Israel Christians and Zionist Jews were raving about his passionate support for the Jewish state. Mike Pence, only days before the election, released a video addressed to Republicans in Israel, expressing unwavering support for the Jewish State. He called Israel not merely a friend, but America’s best friend. Trump has promised to do something that no president has yet done. We have a fully functional, state of the art Embassy for the United States in Jerusalem. But it is not operational because no president has had the chutzpa (gumption) to move it from Tel Aviv. Trump has pledged to do this. Bush came in as pro-Israel and was blessed as a leader. But then he pledged to divide Israel’s land and encouraged the evacuation of 10,000 Jews from Gaza, and things went downhill from there in regards to his presidency. Obama, from the beginning, was hostile towards America’s best friend, even to the point of exuding rudeness and hostility to Prime Minister Netanyahu. Now, not only is he done as president (because of term limits), but also his entire agenda from Obamacare to Immigration Amnesty has been rejected by the American people and will most likely be reversed. It doesn’t take a prophet to tell President Trump how things will go for him and, thus, America, if he backs down from his bold pledge of support for Israel (there will be tremendous pressure on him to do so and most who have gone before him have faltered under its weight). God will bless him and America if he leads the way he proclaimed in his AIPAC speech and moves the embassy (going against the wishes of the UN and most nations). It really is that simple. If he crumbles under the weight and compromises his commitment the Lord will not be pleased. But if he sticks to his guns, and favors Israel, God will most surely favor him and the nation will benefit. “The Sun Never Sets on the British Empire”? Great Britain was once the best friend of the Jewish people and thus the greatest power on earth. They used to say, the sun never sets on the British Empire. But then she became hardened against the Jews, taking 80% of the proposed Jewish homeland to create Jordan. In 1939, as Hitler was beginning his Final Solution, Great Britain closed British controlled Palestine to Jewish immigration from Europe, leaving them to die. And the sun quickly set on Great Britain, and she is now a shell of her former self. Harry S. Truman was the first head of state to recognize Israel on May 14, 1948. He began a long legacy of the United States being Israel’s best friend, and the US quickly replaced Great Britain as the greatest power on earth. 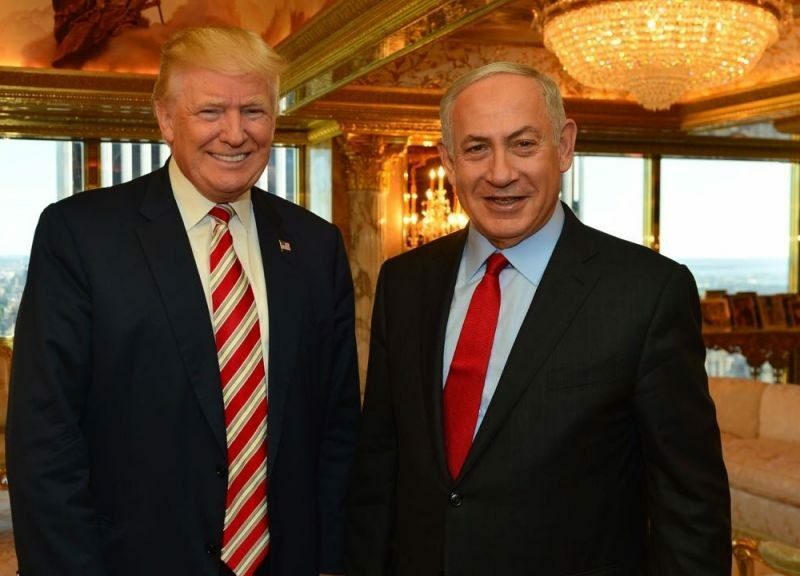 I, for one, will be praying for President Trump to stand strong in the face of opposition when it comes to Israel. It will mean blessing for the United States of America and for Israel. I did not vote for him in the primary, and while I did vote for him in the election, it wasn’t easy (Hillary was never an option obviously), I am now firmly interceding for the new commander-in-chief to be the president that America needs. And I am rejoicing to no end that Hillary Clinton is finished in politics and will not be able to continue the moral decline in our country or place anti-constitutional liberals on the Supreme Court.